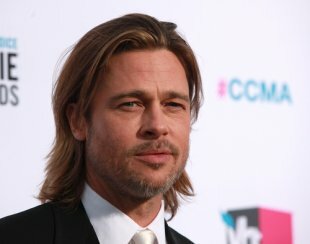 BRAD PITT WANTS YOU TO KNOW SOMETHING HORRIBLE ABOUT COSTCO | "Global Possibilities"
“Cramming hens into cages for their entire lives constitutes cruelty to animals, and animals deserve better,” the actor said. Last week EcoWatch reported that the Humane Society discovered that a Costco egg supplier uses abhorrent factory farming conditions to raise its egg-laying hens despite the fact that Costco made a public commitment eight years ago to eliminate cage confinement of chickens from its supply chain. Now, Brad Pitt and Bill Maher are following Gosling’s lead, calling out how Costco contributes to animal cruelty by selling eggs from caged hens. Nearly a decade ago, Costco indicated that its next step on this issue would be creating a timeline for getting those cages out of your egg supply, and yet today, you appear to have made no progress at all — even as you have set timelines for getting pigs and calves out of cages. As you know, these birds producing eggs for your shelves are crammed five or more into cages that are not large enough for even one hen to spread her wings. In these cruel cages, the animals’ muscles and bones atrophy from years of immobilization. That’s why the cages are illegal in most of Europe, and why California banned the cages by an overwhelming vote years ago. In short, cramming hens into cages for their entire lives constitutes cruelty to animals, and animals deserve better. As you know, many major corporations, from Burger King to Unilever, are getting rid of cages — and Whole Foods hasn’t sold eggs from caged hens in years. I’ve also been impressed by Costco’s support for animal protection. For example, the company mandated that its suppliers stop locking pregnant pigs in cages called gestation crates by 2022. So I don’t understand how Costco can justify its refusal to set a timeline for getting rid of eggs from battery cages, which is the third system, along with pork and veal, in the factory farming cruelty trifecta. Pitt and Maher spoke out on behalf of Farm Sanctuary, an organization that advocates against the mistreatment of animals and factory farming. The president and co-founder of Farm Sanctuary, Gene Baur, was a guest on The Daily Show with Jon Stewart in April, discussing the many benefits of a vegan diet. “Some, such as the Humane Society, advocate that hens be ‘cage free,’ and not confined in cages. Some advocate that cages are safer for hens,” the statement reads. Costco said it is “committed to the ethical treatment of animals” and its code of ethics is part of the company mission statement.